no-nonsense way to lose weight and keep it off forever. Nothing tastes as good as being healthy, so do yourself a favor and get this complete health and weight loss guide today! If getting up from the floor is problematic? If you have a tough time tying your shoes? If you are out of breath after playing with your kids? 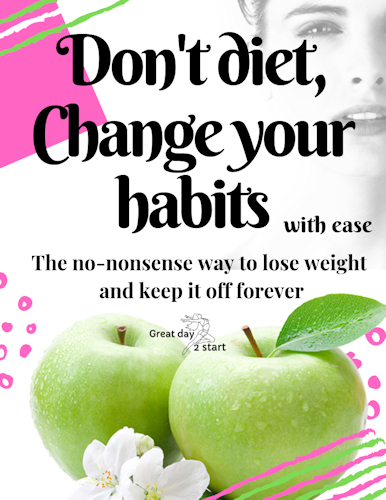 Well than… Don’t diet, change your habits with ease!